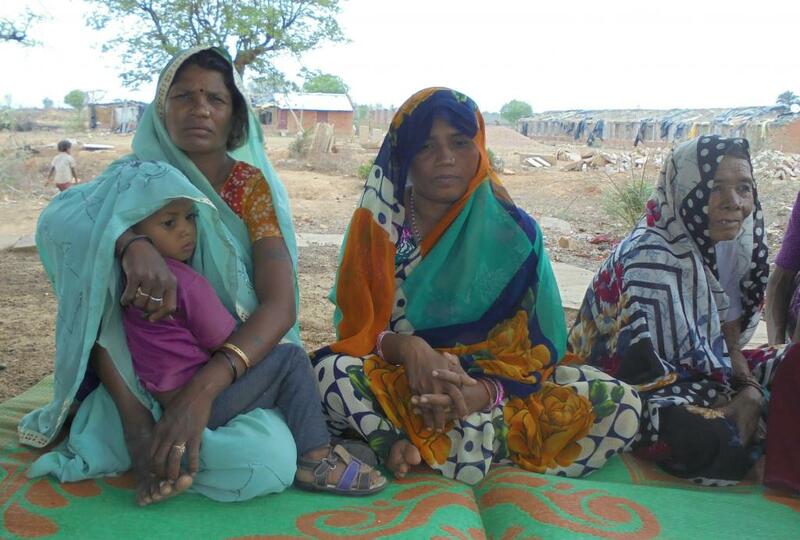 A ban preventing tribal men from entering the forest to collect woods in the name of wildlife protection has made the life of community women miserable in Panna. The ban has become more intense in the past five years. Take the instance of Hiriya Bai, a 70-year-old woman, from Saur tribe. Bai jokes that if she claims her family has meat for food, there is every possibility of arrest on the charge of killing animals. The septuagenarian has to manage food for her family as men in her community are banned from entering the forest. The situation is worse as there is no other kind of work available due to the prevalent drought. The only option for poor, landless families is to collect wood and sell it in the market. For Bai and other women from her community, the only source of making money is collecting forest woods and selling them in the local market. If women fail to collect woods, it means their families have to go hungry. The so-called conflict between tribals and wild animals has led the forest department to prevent the entry of tribals inside the forest. The Panna National Park situated along the banks of the Ken river extends over 543 kilometres. Generally known as a tiger reserve, other species such as the leopard, wolf, gharial, blue bull, chinkara, sambar, wild boar, sloth bear, cheetal, chowsingha, Indian fox and porcupine are commonly found. A separate sanctuary for gharials has also been set up. Kusum Bai, the wife of Ram Kumar and resident of Manki village, said the ban has put too much pressure on women. She said that she had to visit the forest twice a week to collect woods which fetch her Rs 200 a week. It is not possible for her to visit often as she has to look after two small children and carry out other domestic duties. According to her, her family members get to eat only chapattis with salt thrice a week. One of her children was recently admitted to the Nutrition Rehabilitation Centre for severe malnourishment. Her husband went to Delhi to get some work, but failed to get any. He returned a month ago and is forced to sit at home. Similar is the story in Manaur village of Panna. Tribals complained that they were not allowed to go inside the forest. “It is not an easy task,” said Hironda Bai, a 65-year-old woman. “Sarkari julm badh gaya hai pichhale char-panch saalo me” (The government pressure has increased in the past three to four years). Teerath Gond from Gadihara village said that the women in the family have to get wood for domestic needs such as cooking, apart from selling it in the market to earn money. This is putting extra work burden on them. Restricting poor tribals from entering the forest area is not restricted to one or two regions. It has been noticed across Panna as well as in the neighbouring Chhatarpur district. Hukum (30) from Singaro village visits Chhatarpur, which is about 60 kilometres away from his village, to appear in court. He has been doing it for the past two years, his father Mannu (60) said, lamenting that the only mistake his son did was to captur some fish when he went to take bath in a river nearby. Forest officials arrested him and kept him in custody for seven days. The family has already spent 20,000 on the case so far. Both the father and the son said that forest officials do not let them enter the forest area. The ban has led to a serious crisis and brought about a change in tribal food habits. The tribals had always depended on the forest for food supply. Hiriya Bai recalled days when mostly food supply used to come from the forest and her family got to eat nutritious food often. Though forest officials are restricting villagers in the name of protecting wild animals, the latter argue that wild animals and tribals have been living together peacefully for years. A forest official said on the condition of anonymity that he has been ordered to protect the wild animals and so do not allow tribals to enter the forests. The story was done under Vikas Samvad Fellowship.